A budget release from Universal on the Spectrum label available from 24th May 2004. A well thought out song compilation spanning John's Island years aimed at newcomers to John's music and existing fans alike. 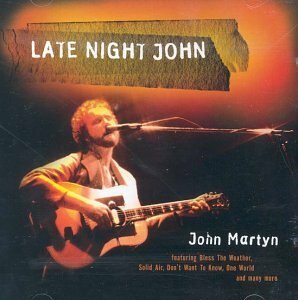 The artwork lacks imagination but a good listen and exactly what it says on the front cover - Late Night John. Lets hope Island get around to remastering some of John's earlier albums and a few of those unreleased gems that lay hidden in the Island vaults.